We are pleased to announce that we are now stocking a range of Lee Precision Inc products in the shop and would love your feedback on the products. If we don’t have it in stock we can get it for you. 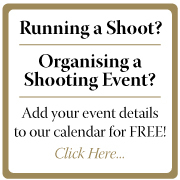 We would like to increase this range over the coming months so do let us know what you’d like to see available. 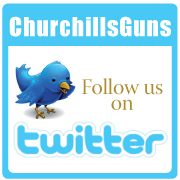 Lee’s specialty is making the best possible reloading products at affordable prices. 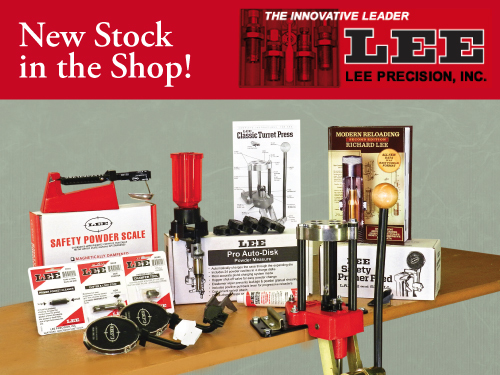 The Lee family has been providing affordable reloading products since 1958. Our great prices come from patented innovative designs. Every Lee die set comes with the guaranteed best accuracy in writing. This is as well as the regular 2 year guarantee and lifetime warranty. 1. Does it fill a real need or is it better than any other product available? 2. Can it be produced at an affordable price? 3. Would I buy one? A yes to all three is required before they introduce a product. - Every Lee product is unconditionally guaranteed for a full two years and a conditional lifetime guarantee. - You may get a full refund within 30 days if you are not 100% satisfied, from all participating dealers. - Lee dies are guaranteed to produce ammunition with less bullet run-out than any other brand. Ammunition loaded with Lee collet dies are guaranteed to shoot the smallest groups, even when matched against custom bench rest equipment! Not so daring as they have already broken one world record. Serving the reloaders of the world for over fifty years, Lee Precision is 100% family owned.